← Coffee and Conversation with Literary Agent, Quressa Robinson! Happy Friday, everyone! I hope you had an amazing week and are gearing up for an even more amazing weekend. And speaking of the weekend, we have another great event coming up on Saturday and so many more throughout the upcoming months, so get those calendars out! There’s a common debut author’s joke that when their book finally hit the shelves they became a twenty-year overnight success. Author-illustrator Jonathan Roth, whose debut chapter book series BEEP AND BOB (Simon &Schuster/Aladdin) hit the shelves in March, 2018, knows what it means to be “in the trenches” for years. He knows the failure of writing everything from picture books and middle grade novels and not having them published; of having to part ways with a good agent; and of having to sometimes throw in the towel and try something new. In this presentation, he will talk about navigating the current publishing scene, clarify the often overlooked genre of chapter books, and give tips about the importance of perseverance, community, and letting go. Books will be available for sale and signing after the program. This FREE event is co-sponsored by Montgomery County Public Libraries and the Society of Children’s Book Writers and Illustrators MD/DE/WV Region. Learn from home! A 90-minute webinar to help you better promote your work, whether you are traditionally published, self-published, or a hybrid author. Many writers and illustrators dread marketing, but promoting your work doesn’t have to be a chore! Sometimes, spreading the word about others’ books is the best way to market your own. Learn how to collaborate with other children’s book creators on events, programs, and initiatives that will raise the profile of your work without turning you into a carnival barker. Veronica Bartles is the author of the picture book, The Princess and the Frogs (Balzer + Bray), and the young adult novel, Twelve Steps. 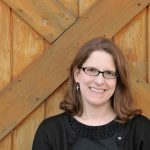 As the Published and Listed Coordinator for the MD/DE/WV Region of SCBWI, she coordinates the Read Local Challenge to facilitate connections between schools/libraries/bookstores and our local authors/illustrators. Kathy MacMillan is the author of the young adult novels Sword and Verse and Dagger and Coin (HarperTeen), the board book Nita’s First Signs (Familius), and many resource books for parents, educators, and librarians. She is the co-Regional Advisor for the MD/DE/WV Region of SCBWI, and is the founder and lead administrator of The Sweet Sixteens debut group. FREE Webinar: A Conversation with Picture Book Authors! The MD/DE/WV Region is pleased to host a FREE webinar, open to everyone, featuring picture book authors Veronica Bartles , Sue Fliess, and Megan Wagner Lloyd! This webinar is presented as part of the Read Local Challenge, which gives you the chance to win prizes by reading books by featured authors from Maryland, Delaware, Washington, D.C., and Virginia! Join us as these authors discuss their inspirations and challenges and answer your questions! This is on a school day – classrooms are welcome to join us! A recording of the webinar will be available after the event. Please register below to receive access information for the live event or recording. To test your system to see if it is compatible with our webinar software, click here. A limited number of 10-page Synopsis/1st Chapter critiques available from the presenter for $30 each. Are you stuck in the muddy middle? Worried that your novel sags and drags? Or are you just plain lost? Perhaps you need to ramp up your secondary characters and subplots! 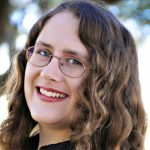 In this seminar, Sarah Aronson will break down the art of writing compelling secondary storylines, and help you increase the conflict and pace your novel. She will show you how these tools can add dimension and meaning as well as conflict, pace, and turning points to your main plot. Come prepared to do some writing exercises as well as some self-editing. Warning: this process may lead to the death (or creation) of new and exciting characters! Sarah is also offering a limited number of Synopsis/1st Chapter Critiques (maximum 10 pages for the entire packet) for $30 each. Those who purchase this option will receive additional instructions by email after the completion of the webinar, and will receive written feedback via within 2 months of the webinar. Sarah Aronson began writing for kids and teens when someone in an exercise class dared her to try. Since then, she has earned an MFA in Writing for Children and Young Adults from Vermont College of Fine Arts, and published three novels: Head Case, Beyond Lucky, and Believe as well as the first book in a new young MG series, The Wish List: The Worst Fairy Godmother Ever! Forthcoming titles include Keep Calm and Sparkle On (Scholastic) and a picture book biography, Just Like Rube Goldberg (Beach Lane Books). When Sarah is not writing or reading (or cooking or riding her bike), she is talking to readers about creativity, writing, social action, and of course, sparkle power! She loves working with other writers in one of her classes at Writers on the Net (www.writers.com ) or the amazing Highlights Foundation. She is also the cofounder and organizer of the Writing Novels for Young People Retreat at VCFA, now approaching its fifteenth year. She has served as an SCBWI mentor in both Illinois and Michigan. She loves sports. She overuses exclamation points. When she’s excited, she talks with her hands. First Pages Webinar with Karen Chaplin, Senior Editor at HarperCollins Children’s Books/HarperTeen! For more information regarding first page critique submission or to register, follow this link to go to our website! Remember that SCBWI members MUST be logged in to get the discounted rate. Registration will close on May 19. Don’t miss this weekend retreat where we delve deep and focus on craft! Small Class sizes: Each track will have a maximum of 24 people. For more information or to register, head on over to our website! Whew, so much awesomeness! For more information, be sure to visit our regional website. Have a great day and as always, happy writing and drawing! This entry was posted in Author/Illustrator Events, Regional News, Webinars. Bookmark the permalink.